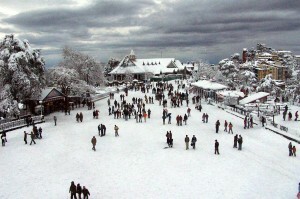 Shimla has a population of around 145,000. Most of the residents are from the Pahadi community (the natives of Himachal Pradesh), but there is also a sizable minority from Punjab and Sindh, who moved to Shimla during the partition. 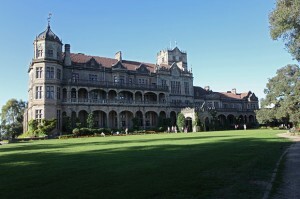 As a result, the languages spoken in Shimla include Hindi, Punjabi, Pahadi and English which serves as a Lingua-Franca. Sitting majestically above the searing plains, the British designated the town as the summer capital of India. The higher levels of the town reflect this British connection, comprising mostly buildings in the Victorian style, while the lower slopes are occupied with Indian bazaars and restaurants. Traffic is banned from the historic central area, (known as the Mall) which means that the atmosphere is calm and the air pristine. Cart Road runs south of the Mall and is connected to it via the lifts. 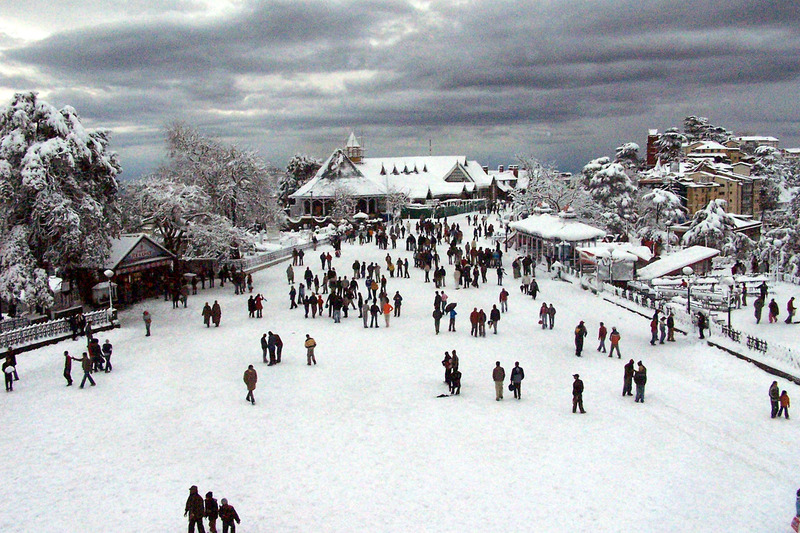 The Ridge, north of the Mall, is a good place to view the the seven majestic hills of Shimla. Further along the same road is Lakkar Bazaar, which is a good place to buy some handicrafts and other souvenirs. A visitor to Shimla can confidently expect to be able to find a double hotel room for Rs. 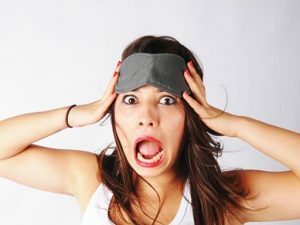 200 (USD 4.38) a night or thereabout. In this category, the well-known standbys among the frequent visitors to Shimla are Hotel Gulmarg (below The Mall; a room for as low as Rs 150 per night), Hotel Dreamland (rather institutional though), Hotel Woodland (peaceful and with balcony and cheap but food and room service is not up to the mark), Hotel City View (great terrace, but beware of resident touts), Hill Bloom Hotel (some rooms with great panoramic views), all basic but adequate and excellently located above Christ Church on The Ridge (some with spectacular views). If someone ever wants to visit India then he should cherish the beauties of the Shimla. Its economically feasible as well as visually magnificent. Study Economics At the University of Oxford; the Oldest operating University! 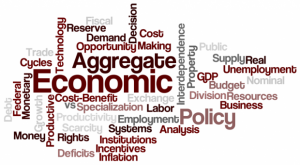 The importance of the Labor Economics, but What is it? 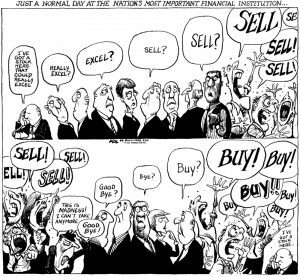 Oligopoly: Characteristic and Conditions for an Oligopolistic Market!